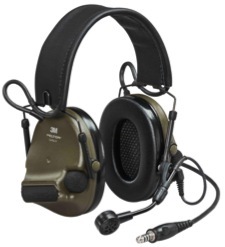 ComTac 1st generation headset was a result of a project to help prevent hearing damage and at the same time use communication to help enhance the efficiency of the soldier’s mission during training as well as combat. The 1st generation ComTac headset was introduced 20 years ago and so far over 750,000 headsets have been delivered and used in more than 40 countries worldwide. Now we are very proud to introduce the 6th generation ComTac. The NIB feature enables natural face to face communication in noisy environment, without the use of an external communication radio. Just approach the person you wish to talk to, and the NIB headsets will connect, allowing for close range communication in high noise. The ComTac VI also introduces MAP-Mission Audio Profiles: a new advance environmental listening function for auditory situational awareness. MAP allows users to adapt and optimize the environmental listening function to four different scenarios: Observation, Patrolling, Conversation and Comfort. -“At 3M PELTOR user performance and safety are priorities when developing new products. With the ComTac VI you can hear and maintain a high degree of auditory awareness in quiet and communicate more easily with other NIB users in close proximity when noise levels are high, all while wearing hearing protection”, says Fredrik Johansson, Global Product Marketing Manager at 3M PELTOR in Värnamo, Sweden. 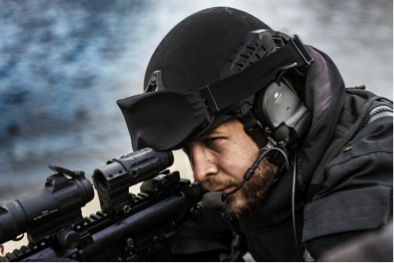 The technologies introduced in the ComTac VI is a game changer for military headset users. As with previous ComTacs, the ComTac VI can be connected to external radios for long range communications. The headset is also connectable to certain chemical and Co2 respirator facepiece. For more information please mail fredrik.johansson@mmm.com or call Customer service at your local 3M office.